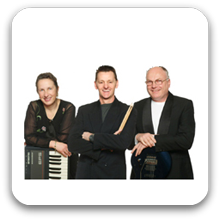 Melbourne Trio 183 are a good fun trio with lots of live experience looking to entertain you around Melbourne. Our music includes a broad range of classic covers and styles to suit your needs. Melbourne Trio 183 are 100% committed to providing a great time at your next function. With over 20 years live performance experience together, Melbourne Trio 183 know what it takes to provide good time entertainment. Band 183 entertained us on a three hour Melbourne River Cruise with dinner on the Yarra River for a crowd of about 50 guests, all scientists from a conference. Everybody had a wonderful time and I heard no complaints back. The songs were familiar and the band were very entertaining, even getting people up to help with some of the dance moves. Overall, a very enjoyable evening. No hesitation in recommending Band 183 for future gigs.